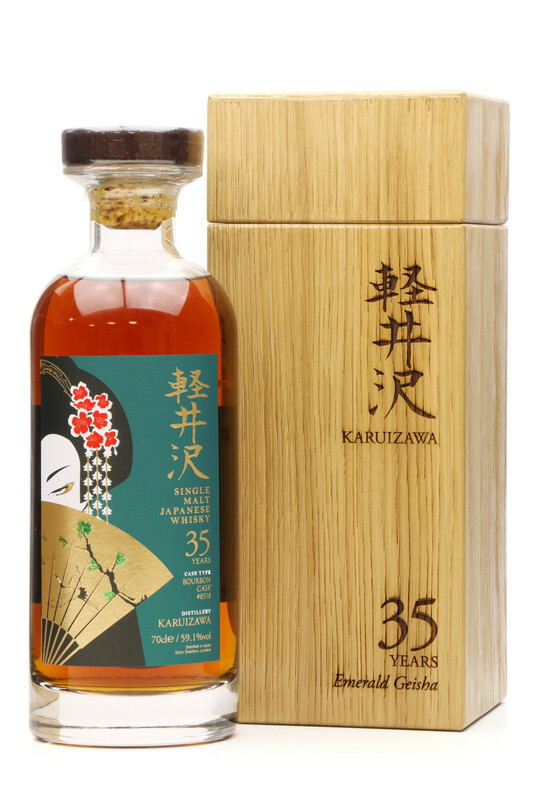 A Limited Edition bottling from silent Japanese distillery Karuizawa, aged for an incredible 35 years in a single bourbon wood cask (No.8518) before being bottled by Elixir Distillers exclusively for The Whisky Exchange. 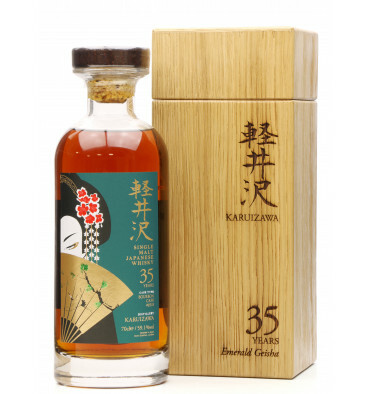 The Emerald Geisha 35-year-old is one of two bottlings, the other being a single cask 33-year-old matured in sherry casks which when placed together shows the unique beauty of the Japanese Geisha culture. 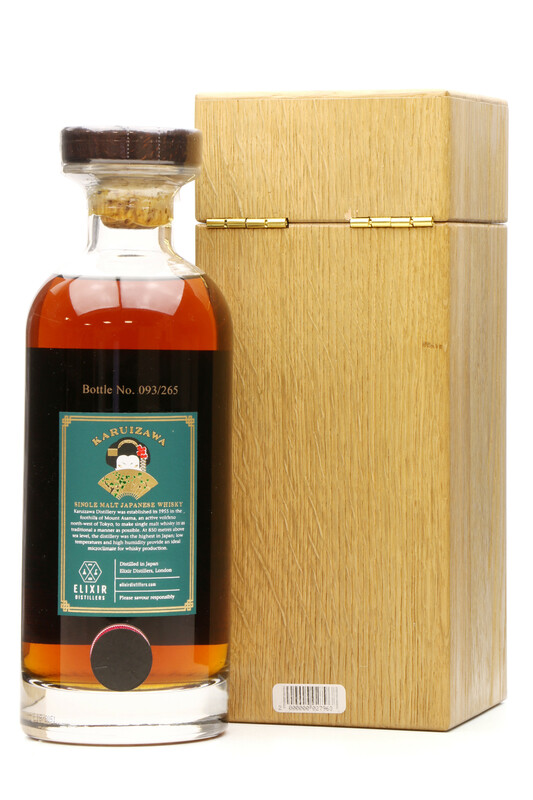 One of only 265 numbered bottles complete with heavyweight magnetic close presentation box.